Ed Rawlings has practiced architecture in New York City for the last 28 years. A graduate of Rensselaer Polytechnic Institute, he has led several award-winning projects, including Dance Theater Workshop/The Dance Building, The Roosevelt Island School, the Pedestrian Walkway Canopies at Newark Liberty International Airport, and 215 Sullivan Street. 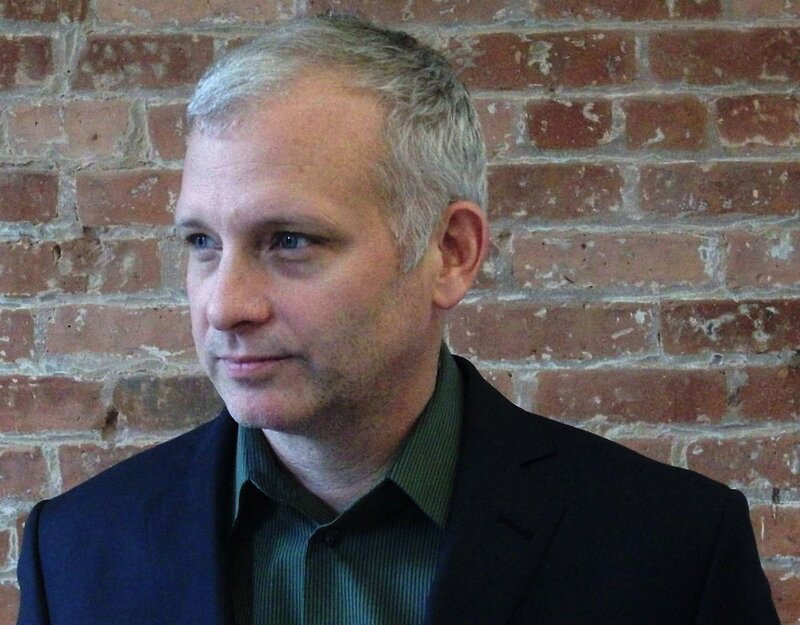 After starting his career in New York City at Michael Fieldman and Partners, Ed opened Rawlings Architects in 1998. I have known Ed for close to twenty years, as I went to Tisch School of the Arts with his wife, Jennifer Phillips, an extraordinary dancer based out of NYC. It has been inspiring to see Ed build his architectural firm in NYC with integrity and vision and to see the scale of the projects that he has successfully completed. I have always loved talking to him about the creative process and wanted to give you, our readers a window into the world that he has created. Tell us a little bit about your background. When, where and why did your interest in architecture emerge? I grew up as a “corporate brat”- our family moved often as my father worked for American Can Company which had facilities all over the world. I was born in Los Angeles and at the age of 4 we moved to American Samoa, then England, then Puerto Rico, then New Jersey and Connecticut for high school. From each place we lived, we would travel extensively. As I recall, a trip to Sydney, Australia from American Samoa in 1970 brought me to the Sydney Opera House by Jørn Utzon, which was still under construction, but clearly discernable as to what it would be. I knew I wanted to be an architect at that moment at the age of 6. Traveling extensively through Europe as a child also made a great impression on me and I have vivid memories of Rome, London, Paris, Barcelona, and Copenhagen. I studied architecture at Rensselaer in upstate New York and have been obsessed with design ever since. I guess a terse way to explain this might be that the opportunity to shape the world we live in and hopefully make it a better and more beautiful place is the role of the architect. It is by nature a kind of naively optimistic endeavor, but it seems like something worthwhile nonetheless. How long did it take for you to build your company Rawlings Architects to become a sustainable business and did you know quite early on that you wanted to start your own company and why? After graduating from Rensselaer, I continued to teach design studio there for about a year and a half while working part time for the firm Architecture+ in Troy, NY. I moved to New York City in 1988 and have lived in Brooklyn since then. Working for Michael Fieldman and Partners from 1988 until 1998 taught me much about how to design buildings, run projects, and manage a practice. I think most architects probably want to have their own firm, I certainly always did, as it allows the most freedom to work out design problems. For me it began incrementally with side projects which I worked on during nights and weekends. Michael Fieldman has always been very supportive of my work and we developed a unique transitional arrangement in 1998 when I opened Rawlings Architects. What projects helped define your company and why? I would say our defining project was the first project of the new firm which was the Dance Theater Workshop (now NY Live Arts). We were originally hired to “peer review” a proposal that a developer had offered to enlarge Dance Theater Workshop’s two story former garage in Chelsea, in return for residential space above. I saw an opening and produced an unsolicited alternate design, taking advantage of zoning code knowledge I had amassed of the years. 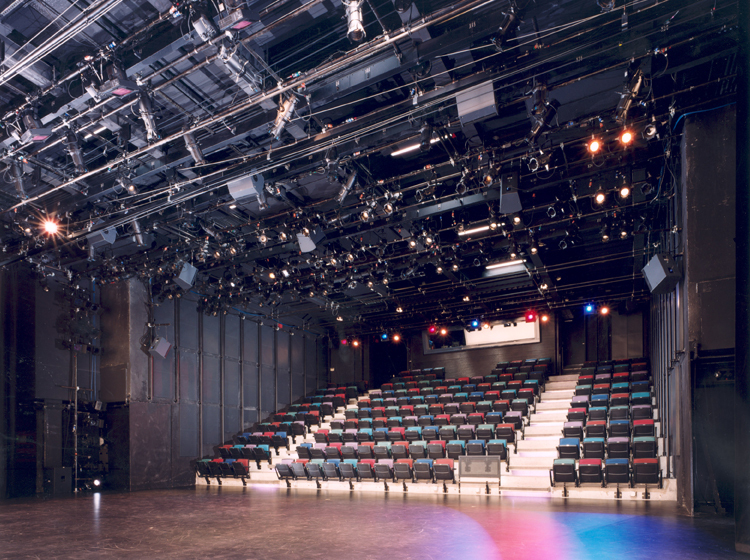 Our design had about 50% more sellable residential area and a larger theater and support space. This was compelling of course, and led DTW to abandon the previous developer and solicit other proposals for our design. When the dust settled we had landed our first new building in New York City and were the architect for the Dance Theater Workshop portion of the building as well as the residential portion above. David White who was the director of DTW was extremely supportive and championed our design throughout the process. And this project was also a labor of love - my wife Jennifer Phillips is a modern dancer trained at NYU Tisch School of the Arts, which is how I know you [Charlotte]! The project was successful for both DTW and the developer and won an AIA award in 2005. Charles Blaichman led the development team and is friend and client who continues to commission our work. We have been fortunate to get most of our private sector work through word of mouth, we don’t actively market. Above: Dance Theater Workshop (now NY Live Arts). Photo by Edward Hueber. What is the most challenging aspect of running an architectural firm in NYC? New York is an expensive place to do anything. Producing good architecture is very labor intensive, so there are challenges of balancing things. It is also more and more about collaboration and having a great team. My partner Steven Kilian has collaborated with me since 1999. One of our core principles is to search for an elegant solution which solves multiple problems simultaneously. This kind of an approach can often lead to unexpected solutions. Sometimes I think getting a building built is analogous to putting together a movie or a performance piece - it takes a lot of people, with very different skills, and it takes a certain spirit of making something together. Someone has to have the helm, but everyone needs to own it. You have been involved in such a wide range of projects from Dance Theater Workshop's new building in Chelsea to the Thompson Boutique hotel - what type of projects do you prefer to work on? What projects would you like to work on that you haven't worked on yet? Above: Thompson LES (now 60 LES). Photo by Edward Hueber. We have been fortunate to have worked on many new ground up or major renovation projects in New York City including public schools which we have worked on since 1988. Multifamily housing, hotels, and educational facilities are the 3 main project types we currently have on the boards and each have their unique qualities that often inform the others. Our recent 215 Sullivan Street project which is an adaptive reuse and addition to a Children’s Aid Society building designed by Calvert Vaux is a recent award winning project I am also proud of. I don’t believe a firm needs experience in a certain type of project to design a great solution, just a willingness to dive in and ask a lot of questions and imagine scenarios. Sometimes a cinematic imagining of inhabiting is a way to get at it. Often it is a very repetitive process of testing iterations, evaluating, discarding and trying again. As to possible future projects, I could say I would like for us to be doing more performance spaces, libraries, museums or higher education facilities – but really I think the more honest response that gets a little closer to our approach is that each project is unique and presents interesting intellectual and expressive opportunities and that there is always a compelling solution waiting to be discovered. Above: 215 Sullivan Street project, NYC (photo by Alexander Severin). I still have a candle stick holder that you designed twenty years ago do you have any products that you are thinking about right now? Given the mission of NOW-ID - what is your experience designing for dance and theater - I remember seeing an installation you did for Ellis Wood Dance in NYC some years back, which was pretty extraordinary? I have always been interested in dance and performance and the relationship and contrasts with architecture. My wife Jennifer danced with Ellis Wood Dance for many years, and several times Ellis invited me to design sets for her pieces. I loved the process of trying to find a balance of a set design that supports the work but does not upstage, creates a mood that reinforces or opens up the work, is also easily deployable and transportable, and is not expensive. Some of the later sets became almost Sol LeWitt-like instructions for assembling things for a future tech crew. One of my favorites was a piece that used colorful rock climbing rope, monofilament, fishing line weights and spring clips. The rope was suspended a few feet above the stage forming a square in plan, the monofilament suspended the rope and the weights pulled it down, forming an irregular zig-zag when viewed from the audience. It formed an internal architectural space, implied a landscape, and was really easy to transport and quick to assemble and strike. Another favorite was a video piece I produced as a backdrop with incredible music composed and performed by Daniel Bernard Roumain. I spent a lot of time with a digital video camera, taught myself video editing, and listened to Daniel’s music constantly. It was a wonderful experience and a great honor to see Hurricane Flora performed at Dance Theater Workshop with Jennifer and the company performing on stage. Above: Ellis Wood performing in Ellis Wood Dance designed by Ed Rawlings. What or who inspires you in your creative process? That is complicated as I think about it. I guess it is a range of disparate things all rolling around. Renzo Piano, my daughter Adeline, Stanley Kubric, the Carmen Herrera painting we saw yesterday, the way a cat walks out of the room, Nadia Sirota’s music, the Pantheon with rain coming in the oculus, what is dark matter really? I guess for me, a way that seems to work is to immerse myself in a problem for a long period of time and then leave it and go for a run or visit a museum and then return to it and look at it again upside down. What are your ambitions for Rawlings Architects moving forward? I would like us to design more things. More importantly, I would like to grow the practice into something that can continue for more than just my tenure, and to establish a culture with the team that can endure for making the built environment a better place. Hopefully alive and with Jennifer and Adeline. New York City. Continuing to design and transitioning the firm to younger partners as Michael Fieldman did for me. Continuing to be a guest critic at architectural schools. A sailboat in the picture would be great too.